Special shout out to Angelo (Noodles105) for sharing information with us. Angelo is part of U2360GRADI.IT (U2360gradi) and #U2NewsIT and U2ITNOL2UU2. The cover for Songs of Experience has been revealed to retailers! Retailers have been sent the artwork for the new album and it is the cover we expected. 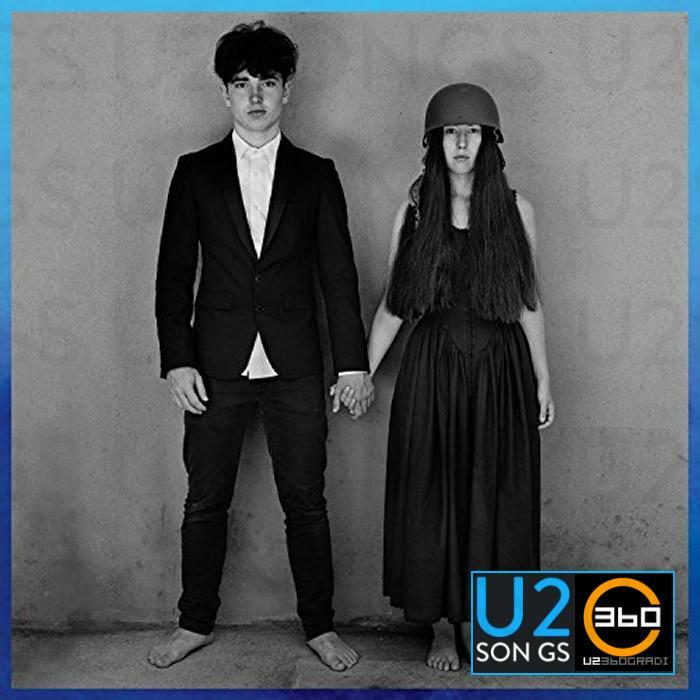 The cover features Edge’s daughter Sian and Bono’s son Eli holding hands. The photo first appeared in concert at the start of The Joshua Tree 2017 tour as a photo displayed on the screen at the end of the concert. Photos have been taken of this image by fans at a number of shows, and it appeared each time the band performed “The Little Things That Give You Away”. The album is listed for a December 1, 2017 release worldwide. Track listings have not yet been provided. At this time retailers are not allowed to post pre-order offers. Those will start to be posted only after the official album announcement which we are told will be very soon. Last Saturday we were able to share with you the six expected formats of the album, also communicated to retailers. There will be two different CD formats, two different vinyl formats, and two digital formats. The image features the image of Eli and Sian, surrounded by a blue border. The border is light blue at the top and shifts to a darker blue at the bottom of the image. The image we are showing is the image from the deluxe CD package. We have added our logos, and the faint words seen in the background of the image. Those will not be present in the final version. We are also told that the vinyl will be pressed in blue vinyl. It is not clear if that refers to the basic version of the vinyl, or the deluxe version of the vinyl or both. We expect we will have more information later this week.